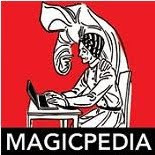 Episode Three of The Magic Detective Show is about Houdini's Final Tour and gave some facts that happened on and prior to October 19th, 1926. Let's begin. The final Houdini Tour started on September 7th 1926. It was supposed to be a five month tour. Houdini was taking a route that he had taken many times before according to Kenneth Silverman. The tour opened at the Majestic Theatre in Boston Mass for a two week run. Houdini had a couple new features in his show this fall. He was presenting an illusion he purchased from Joe Dunninger, "Cutting a Woman in Eighths" or as one newspaper ad said "Slicing a Woman in Seven Parts". He also had another new feature that he restricted to venues that were two weeks long. This other feature is referred to in the Kalush Biography as "The Mystery of the Sphinx. This was Houdini's Buried Alive Escape done on stage. According to the Kalush Bio, he debuted the escape in Worcester, however on John Cox's blog WildaboutHoudini.com there is an ad for the Majestic Theatre in Boston which clearly says he is doing this escape at that theatre and I found a similar ad which you can see below. It makes sense as the Boston gig was two weeks long. 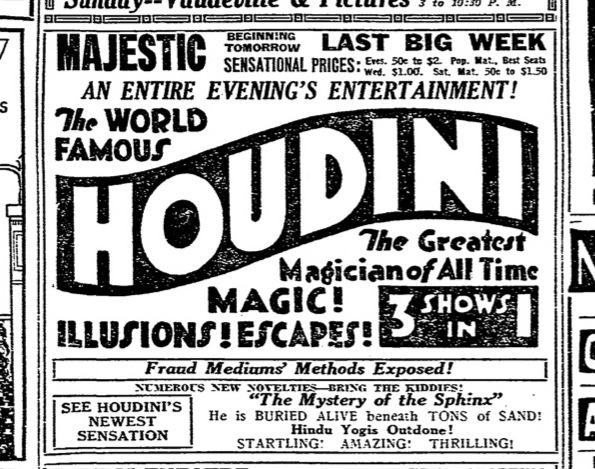 On Episode 3 I actually said he debuted it in Worcester because that's the information in all the books, but I think the ad shows that indeed Houdini was doing the buried alive escape in Boston. In Patrick Culliton's book Houdini The Key, he gives a description of the effect along with method. I've seen many Houdini escapes duplicated, but this is one I would have love to have seen live! After being being placed in a straight jacket, then into a canvas sack and into the coffin, the coffin was lowered into the large glass fronted box and covered with sand. Houdini would step out from behind the large box to take his bow! Houdini made his escape in two minutes. How on earth they traveled with something of this size is beyond me. I'm going to guess that the dimensions of the larger outer box might not be quite as large as they appear in the poster. Certainly less sand would be required if this were the case. Also, the outer box had a front made of glass. It would be near impossible to travel with a thick piece of glass the size that is indicated on the poster, so again I think it makes sense that the outer box was not quite as large. After Boston, Houdini headed west to Worcester MA. This was another two week run and it was here that he presented his third Underwater Coffin Test at YMCA Pool in Worcester. His run in Worcester was followed by a short 3 day run in Providence Rhode Island. This is where Bess Houdini contracted food poisoning after a dinner out with Harry and H.P. Lovecraft. 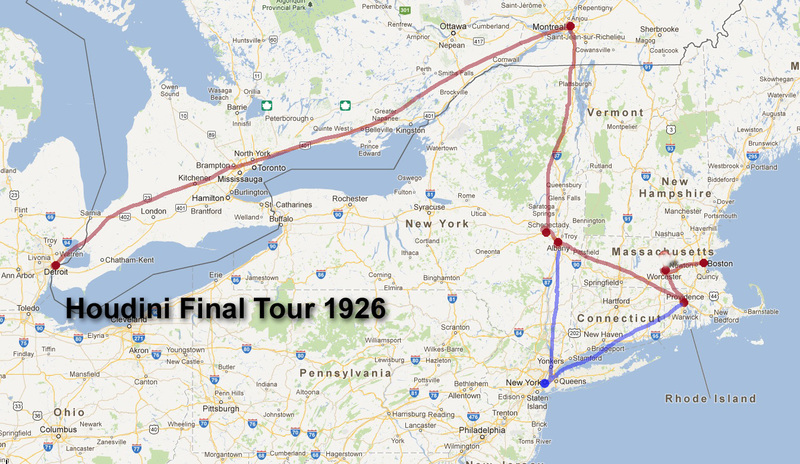 The run in Providence ended on Oct 8th and Houdini sends Bess and crew to Albany NY, while he takes a detour to NYC. Houdini needed to meet with his lawyer to discuss the mounting lawsuits he was receiving. He also met up with Joe Dunninger, who served as taxi driver for Houdini while he was in town. Houdini took the train back to Albany and arrived early in the morning. At this point, he was going on very few hours of sleep. Opening night at the Capital Theatre in Albany Houdini had an accident as he prepared to do the Water Torture Cell Escape. However, I'm unclear on exactly what took place. The Silverman Bio says "the cables twisted or swayed" and the resulting 'lurch' cracked the footstock and he fractured his ankle. The Kalush bio says simply that "as he was hoisted in the air he gasped and his face twisted in pain." The Henning bio says "as he was lifted in the air one of his ankles snapped", the Gresham bio says basically the same thing. In Randi's biography it says "as he was lifted he felt a crack. The frame (footstock) had loosened and wrenched his left foot, injuring the bone." Here is what Houdini had to say in a letter he wrote on Oct 12th, two days after the accident, "The cover snapped as we were drawing it up, and I have some sort of fracture on the left leg. The left side of my body is somewhat weaker than the right, or perhaps it just struck a glancing blow. Anyway, it hit with enough force to smash the cover which is of heavy nickel-plated steel." This comes from a letter reprinted in Houdini The Key by Patrick Culliton. The odd thing is a Doctor was reported as saying that if the stocks had not cracked Houdini's leg would have been cut off.....I'm not quite getting that part of it. I wonder if John Gaughan saw the cracked stocks when he refurbished the WTC? All the stories are similar and whatever the actually cause, the end result was a fractured bone. At any rate, Houdini was hurt and unable to do the WTC. A doctor put a splint on his leg and told Houdini to go to the hospital. 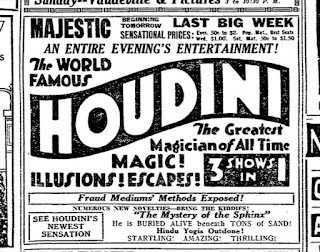 Of course, Houdini refused because he had a show to finish. He did his Needle Trick and then went on with the exposure of fake mediums to finish the show. The remainder of his tour he was in constant pain due to the fractured left ankle. From Albany they ventured down the road to Schenectady NY, where despite the injury he presented three days of shows. Next stop, Montreal Canada. He opened on October 18th at the Princess Theatre in Montreal (though the Gresham book says he opened on the 17th). By all accounts Houdini looked 'sickly' and tired and frankly old. If you figure in the lack of sleep, the pain from his leg and add to that the stress of $1 Million in lawsuits being filed by ticked-off spiritualists, Houdini sure had a right to look bad. He accepted an invitation by the head of the psychology department at McGill University to give a talk before the students. The lecture set records for attendance and it took place in the Student Union Building. Today this building is known as the McCord Museum and a photo can be seen in Episode 3 of the Magic Detective Show. Houdini's lecture took place in the ballroom at 5p.m. on Oct 19th, 1926. His talk was on Magic & Spiritualism. A stand-out moment in the lecture was when Houdini took a needle and shoved it through his cheek to demonstrate his high tolerance for pain. This is a stunt he had done for years in his talks and lectures. He finished his lecture talking about fake spirit mediums and his encounters with Lady Doyle, the wife of Sir Arthur Conan Doyle and with good ole Margery the Boston Medium. Following the lecture he met with students and one of those he talked to was Samuel Smilovitch, known as Sam Smiley. Sam had been doing sketches of Houdini during his lecture and showed them to him. He liked the artwork and invited Sam to meet with him backstage at the Princess Theatre before one of his performances over his run in Montreal. And that is where I stopped the Episode. What takes place next is historic and tragic and will directly lead to the end of Houdini's life. 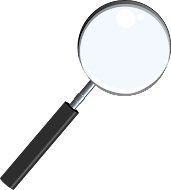 Be sure to watch the next Episode of The Magic Detective for the details! Great work. I was wondering where you got The Mystery of the Sphinx name. I didn't remember it from Kalush. But there it is in the ad! Nice find. I first came across the name "Mystery of the Sphinx" in the Kalush bio. I couldn't find it anywhere else and it was bugging me so I dug deeper and came across the newspaper ad which appeared in the Boston Herald. The one thing that bugs me still, I can't find a single article about the Buried Alive in Boston. I found one mentioning the WTC, but so far no article for this new escape, only the ad. I'll keep searching.